Garden Association was formed as a result of the distribution of land plots to the employees of the company. Upon receipt of the land has not signed any documents. The only document served rural household register in the Board of horticulture, where I maintain information about the user and payment of membership dues. After 30 October 2001 the situation changed, as entered into force the Land code of the Russian Federation. 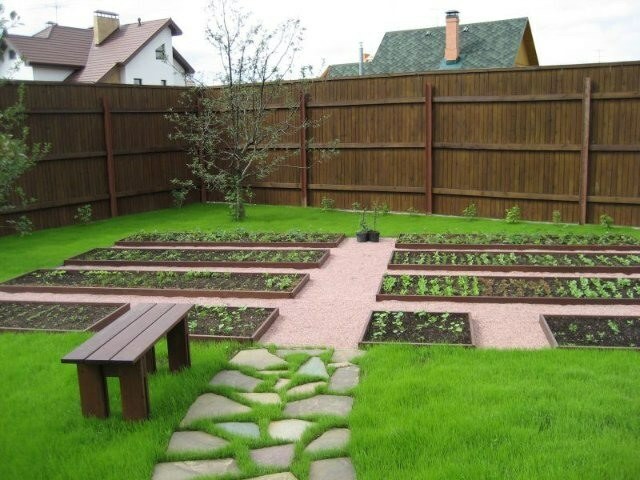 Therefore, registration of ownership rights depends on the time of obtaining a garden plot. If you got a garden plot to 30 October 2001, to issue the property right it is possible in a simplified manner in accordance with Federal law 37. You'll need to carry out the procedure of land surveying, to put the land plot cadastral registration. Also you have to extract from the household book on the form of the standardized forms issued by the Federal Office of the state registration center. To conduct the survey apply to the cadastral chamber. You will come to the cadastral engineer and conduct on the site all the necessary work. Will receive technical documents on the work. Create a written act of negotiation of boundaries with users of the adjacent garden plots. In the act, specify that all neighbors agreed with the boundary marking of boundaries, name of user, date and signature. With technical documents, please contact the cadastral chamber, please complete an application for the registration of the site, please show your passport. On the basis of submitted documents your site will assign a cadastral number will make the information in the state register, will issue the cadastral certificate and the plan. Get the extract from the cadastral passport and copy of cadastral plan, contact the Board of the horticultural Association or local municipality. Get the extract from the household book in a unified form. Contact PPRC. Complete the application form a standardized form. Please submit all available documents on the site, that is an extract from the cadastral passport and copy of the cadastre plan, extract from the household book. You will also need your passport and a receipt of payment for registration. In one month you place property rights. If you bought, inherited, received as a gift the land after the entry into force of the Land code, the registration of ownership must be produced according to the General rules specified in the Federal law 122, article 164 of the civil code and 433 of the civil code. According to law you are required to conduct a survey, to deliver the land plot cadastral registration, to obtain an extract from the cadastral passport and a copy of the cadastral plan. Contact PPRC. Complete the application, submit legal documents and cadastral statement, passport, receipt for the registration. In one month, your license will register and you will receive a certificate of ownership.